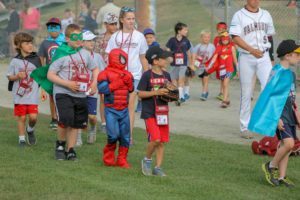 On Wednesday, July 25th, the Commodres celebrated Superhero Night at Guv Fuller Field. 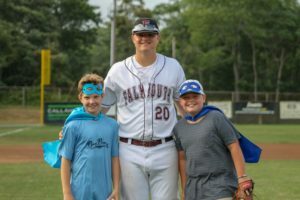 Kids Club Members designed their own superhero capes, choosing the cape color as well as the color of the Falmouth Commodores “F” they wore on their backs, and a mask. Interns also got in on the fun, wearing capes of their own, and even Homer got in on the action! 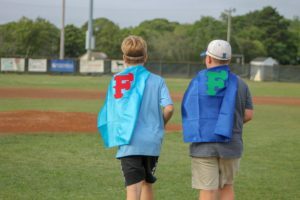 There was a costume parade to show off capes and superhero costumes in the 7th inning, and the superhero trivia paired with the classic theme music completed the setting. 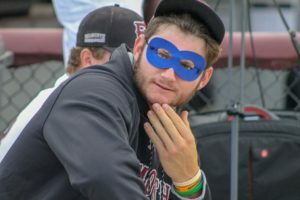 The ‘Dores can’t wait till next year for another great Superhero Night! 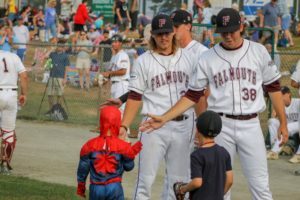 Click Here to see more great Kids Club Event Nights with the Falmouth Commodores! Intern Niall Curley awaits the first pitch. Eddy and Eddy pose with Commodore Davis Sims (20) after throwing perfect strikes! 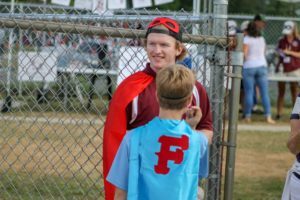 Commodores Nick Mikolajchack (21) and Jack Little (38) receive hi-​fives from some of the superheros. After honing his superpowers with Spidey, ‘Dore Tyler Dyson is ready to take on crime! 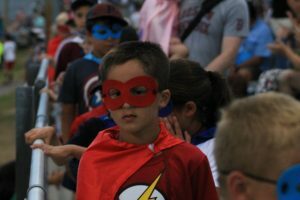 The Flash makes an appearance at the Superhero march. Eddy and Eddy walk out to the mound to throw out the first pitch. Heros walk out on the field to stand with the players for the National Anthem. 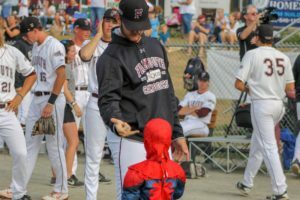 Commodore Tyler Dyson (18) gets some web-​shooting advice from Spider-​man himself! 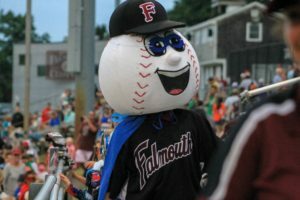 Homer leads the Superhero Parade during the 7th inning stretch. 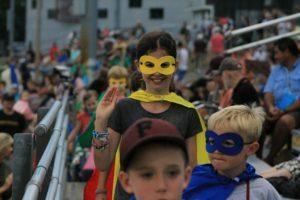 The parade was great fun for everyone!